We catch a cuppa with multi award-winning salon owner Sarah Mason on her return from working with the best in the business at London Fashion Week 2018. What was it like to work at the Preen show during LFW? It was incredible working backstage at London Fashion Week. I was assisting the global creative director of Wella Professionals and the ghd ambassador Eugiene Souleiman, for Preen by Thornton Bregazzi, at the Royal Horticultural Society. How do you find time to juggle everything? I won’t lie, it can be a little crazy at times but that’s how I like it. I love travelling with my craft so I find it very energising and refreshing to be working in so many different areas of my industry. Having a great team behind me helps me to follow my dreams and fulfill my passion. I find social media platforms are a great outlet and I love posting about my exciting adventures. Did you enjoy your experience as a judge for TrendVision last year? I have been judging for Wella Professionals TrendVision UK and Ireland Final for the last few years. I love seeing all the beautiful work and inspiration that is coming through in the new generation of hairdressers. It really is a spectacular event in the Round House in Camden, London. Congratulations on your team’s recent success. Have their feet touched the ground yet? I am absolutely delighted for my team, they are doing such amazing work. We have two TrendVision finalists this year and our junior artist, Cara Finlay, is in the semi-final of the Irish Hairdressing Federation Star team heats. Their feet have just about hit the ground and their wings will be reopening in the next few weeks with more trips and events in Dublin and London. You and your team have a packed schedule for the next couple of months. What’s next in the diary? Next on schedule for me is Professional Beauty HJ Live Stage in the RDS where I will be showcasing my new collection. The same weekend, I’ll be travelling to London to the TrendVision UK and Ireland Final so it will be a busy one! A week later we will be in London to see Roisin (Hynes) on stage with her Generation Now Team at Salon International. I was initially inspired by the variations of the Middle East. There have been a lot of cool turbans and colourful head scarfs on the catwalks lately. With so much darkness in the world, I wanted to create a peaceful vibe bursting with colour using the newly launched Colour Fresh Create from Wella Professionals. You devote a lot of time to training and education. How important is it to you and to the business? Our industry is a constant learning curve. I think it’s essential to spend time delivering and receiving education so that we can offer a centre of excellence to our guests. It also keeps us fresh and ahead of the game. I love educating my team during my guest artist days in the Wella Studio in Dublin. As you are constantly growing your business, what do you look for in a stylist? There is so much talent out there at the moment. I love someone who is ambitious and craves the craft of our industry. It’s not always about being competitive, it’s about finding balance. I think every hairdresser has something to bring to the table that makes them unique. What advice would you give anyone starting out in their career? Hairdressing is a wonderful career that offers amazing opportunities. If you are starting out, try and get the best training you possibly can and make a strong career plan. With over 25 years of experience, I’m still following a wishlist of opportunities and things I want to achieve. Never be afraid to put yourself out there. With Christmas on the horizon, I need to have a chat with Santa Claus first! The 2019 diary is already bought and in action. I have some very exciting plans in the pipeline for the team in January but it’s top secret for now! 2018 has been a very special year, so let’s hope 2019 is bigger and even better. Sarah Mason Professional is located at Unit 3, Forster Court, Galway and can be contacted via 091 565 916 or through her website. 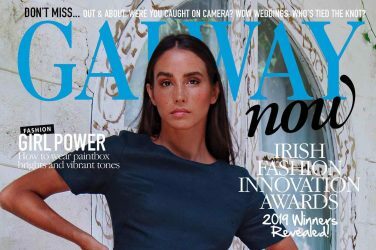 April Issue of GALWAYnow is HERE!